Our Custom Party Favor Can & Bottle Coolers with Names are fun, functional and great for any wedding celebration! 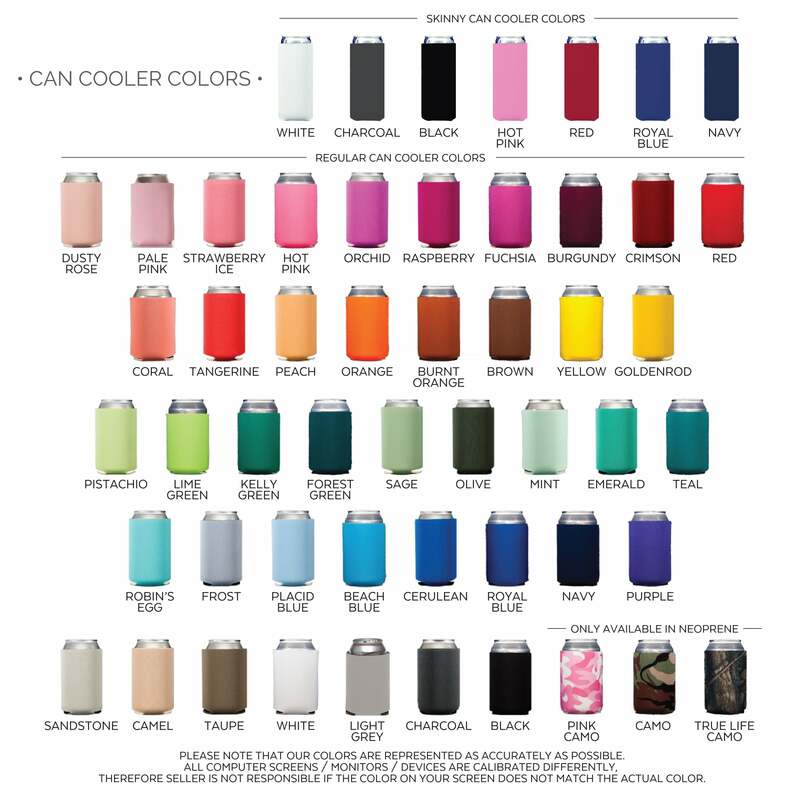 Choose your can cooler color, print color, fonts and monograms to design the perfect custom look for any decor or theme. You can see all of our fabulous personalization options at the links below. We can print the same thing or something different on the back at no additional charge. Custom printed drink huggers are great for wedding receptions, rehearsal dinners, engagement parties, I Do BBQ's, and bachelor or bachelorette bashes. We include a complimentary digital proof with each order to ensure you get exactly what you are looking for! Choose from collapsible sponge foam or collapsible neoprene material.